Blazers fans are getting their wish. BIRMINGHAM, Ala. — UAB football will take the field again in 2017 and remain an FBS program. Athletic director Mark Ingram said Tuesday that rifle will return in the upcoming season, while bowling will compete in 2016-17 and football in two years. 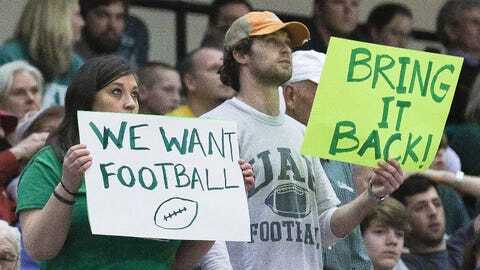 UAB dropped all three sports in December to cut costs, then announced six months later that they would be reinstated. The NCAA cleared UAB to resume playing football in 2017 and continue competing in the Football Bowl Subdivision, Ingram said. "I am so excited that UAB football will return to FBS competition in 2017," said Blazers football coach Bill Clark, whose current contract runs through 2016. "Like our fans, I wanted to light the scoreboard much sooner, but doing it right is more important than doing it fast, and this was our best option. 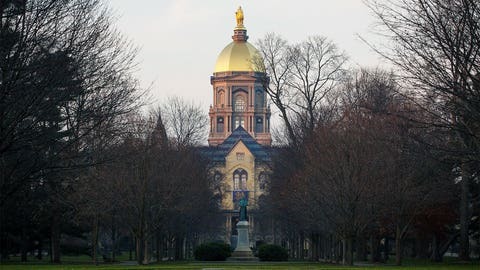 "We want a program that is here to stay. We have to start by building a new, stronger foundation. We need to take our time to do it right, then we can compete for conference and bowl championships." The Blazers would be eligible immediately for postseason play and a Conference USA title if they qualify on the field. UAB was bowl-eligible for the first time in a decade last season, Clark’s debut. "The love and support from UAB fans has been incredible," Clark said in a statement. "Please don’t stop. We still have a lot to do and we need all of you. Go Blazers!" UAB’s talks with the NCAA and C-USA focused on recruiting, building a roster and maintaining FBS status. "It has been our intent to resume competition as soon as possible," Ingram said. Conference USA Commissioner Britton Banowsky said UAB could potentially play a full league schedule in its first season back. "If playing a conference schedule in 2017 makes the most sense for the ultimate long-term success, then we will continue to work with them toward that goal," Banowsky said.